I put in about $25 in December 2012 for a pay-as-you-go solar light project in the Nairobi slums. My twenty five bucks went into a collective loan of $15,000 to distribute 1,000 of these solar lights made by the Angaza product development team to local entrepreneurs. Many of these villagers use the lights and solar panels to light shops and charge cell phones as a service. I got paid back in quarterly installments and was fully paid back by March 2014. Yeah it took awhile — it was an early project that got delayed a bit. It was one of the first ones to go up on the SunFunder site. Once paid back, funders can then decide to reinvest the funds or take back the money. It’s a combination of doing something good with your money in the present, and then you also get it back down the road (unlike a Kickstarter project where you usually never see it again). SunFunder also has a newer product for accredited investors, who can put in funds for solar projects and make back a return over time. Solar Mosaic also uses this model of enabling investors to profit on investing in solar projects. For legal reasons, though, that program is only open to accredited investors. Because solar panels consistently generate electricity over time, they can provide consistent revenue over time, and depending on the business model, a small profit over time. 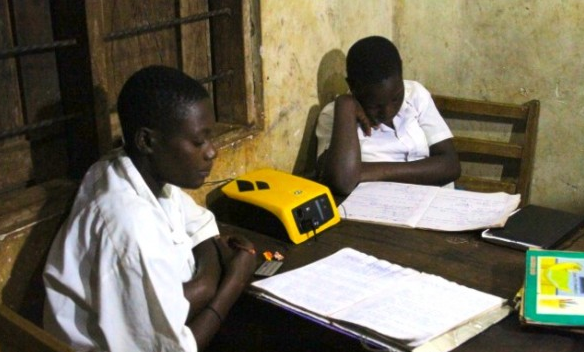 SunFunder says it has raised $700,000 for at least 25 solar projects that have affected the lives of almost 120,000 people. Much of the solar lighting products used in these rural villages are replacements for kerosene lamps, which are a health hazard when used indoors. Other startups focused on this area include: M-KOPA, Simpa Networks, Azuri, D-Light and others. Many of these startups are funded by both venture capitalists and developing world grants. According to a filing, two-year-old SunFunder raised about $2.2 million, and hopes to close on another $500,000 of the round. SunFunder’s existing angel investors also participated in the Series A. As the market for solar panels heats up around the world, offgrid projects in the developing world provide an interesting market. Much of the solar in these areas is around pay-as-you-go, using cell phone tech to unlock micropayments for solar electricity. In Kenya and Uganda the companies and users and ride off the back of M-PESA, the wildly successful mobile payment service from Vodafone in those regions. 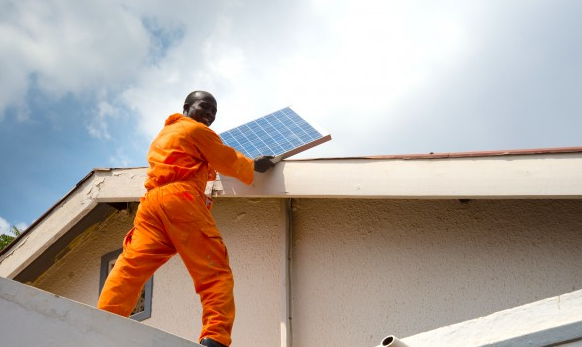 Crowd-funding is still a tiny part of the overall funding for solar panel projects in the world. The amount of money from banks and institutions that was put into solar panel projects in the U.S. last year broke records. SunFunder is still matching all crowd investments on sunfunder.com dollar for dollar. Great time to try out investing in solar! congrats to a really nice bunch of people – who are doing hard work for the right reasons (imho).